Her email got me thinking. It also sparked a great dialogue among the moms I was with that weekend. Unanimously we agreed that when it comes to a happy marriage, character far outweighs charisma. 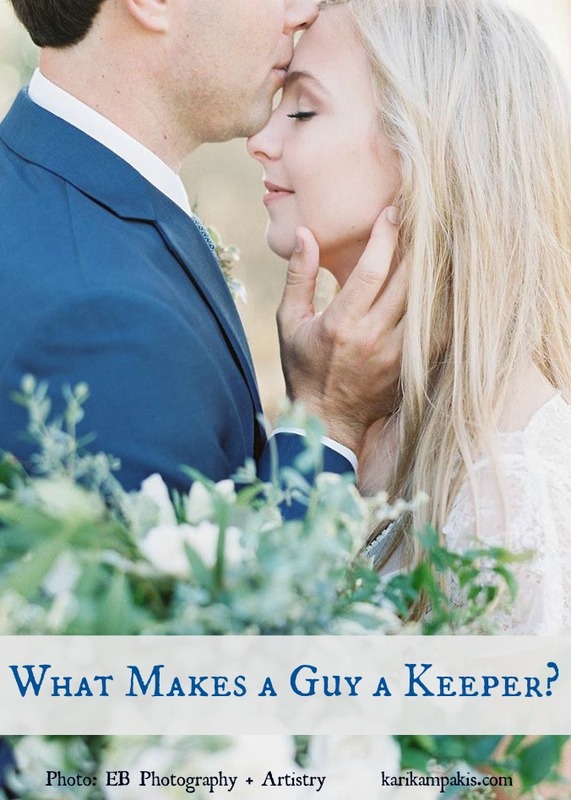 What makes a guy a “keeper” is not the charm or splashy gestures that might impress outsiders, but the little (and often unexciting) acts of thoughtfulness that happen behind closed doors. Like him fixing you a grilled cheese sandwich with a side of your favorite chips. Him unloading the dishwasher because he knows you hate to do it. Him listening to your emotional rant, even if it is irrational. Him getting up at 2 a.m. to calm your crying baby. Him stepping in when the kids start testing you, diffusing tension before you break. Him holding back your hair as you vomit in the toilet, because the stomach bug has you down. Him loving your family like his own, because anyone important to you is important to him too. Him calling your best friend before Christmas and your birthday to get a list of gift ideas. Him washing your car and keeping it maintained to make sure it’s safe to drive. Him building you up and defending you when someone tears you down. Him bringing home your favorite latte or the gummy bears you eat in bed. Him loving you unconditionally, even when you’re a hot mess. To a 16-year-old girl, this list may evoke a yawn. It may pale in comparison to the lavish prom-posals on social media and gorgeous celebrity YouTubers who share staged moments of their romance to create #couplegoals that look like magazine ads. But the truth is, you can’t post character on Instagram. You can’t capture in a tidy square what makes a guy worth growing old with. The best relationships don’t need an audience, and one major test of character is who a guy becomes when the cameras are off, the doors are closed, and you’re alone in your private world. My friend’s grandmother used to say, “A good steak don’t need all that sauce.” She also told her grandkids, “If you marry for money, you’ll earn every penny of it.” Her advice is timeless and spot-on, because the best guys need nothing to hide behind. They aren’t about the sizzle & show. While some girls do marry for money (or looks, charisma, and power), there are also girls who want more, girls who see beyond the bells and whistles and crave the deep, meaningful connection that helps a relationship go the distance. “Jay constantly jumps in, rolls up his sleeves and gets things done without me saying a word. Tough homework – sits down and works until they get it. Temper tantrum – sits down and talks through the situation. Mom looks tired – makes coffee. Broken piece of furniture – takes it to the workshop and fixes it. Trash can full – empties it. Listens throughout the year – and surprises me with little things he heard me say I needed or wanted. He’s not a complainer, and he needs no affirmation for his deeds – he’s the best!” Caroline E.
“He knows when I’m about to lose it, and instead of saying something which would surely backfire, no matter how well-intentioned or right he may be, he gives me hug.” Kathy S.
“Takes the lead in our daily prayers. Makes me laugh every day.” Beth N.
“One thing I admire about my husband is that he is always straightforward with his friends and truly wants the best for them. When he sees one going down an unhealthy path, he speaks up with charity.” Cindy R.
“He gets me. Period.” Julie D.
“Supports all of my efforts, is my biggest cheerleader, shares in household responsibilities, and steps in when he can see I’m fading before I even feel it. Drives carpool on stressful mornings. Always leaves for me the last bite of a shared dessert or great meal. I am biased, but I think mine’s the best!” Sue W.
“Early signs of a good guy for teens: a young man whose faith guides his choices. Someone who cares to get to know your friends, but doesn’t ever ‘notice’ other girls in a flirtatious way. Speaks respectfully of women, even super-famous ones who put their bodies on display. Along those lines; treats his mother and sister(s) with respect. Tells the truth without embellishment or omission. A guy whose friends have great character – these are the people he has chosen to spend time with, and that tells you a lot about what matters to him. Spends time learning the things you like as well as sharing the things he likes. Noticed all these things in Jeff Harris a long time ago…!” Anna H.
“Seeing the love for me and our children in his eyes makes this wife a happy lady!” Leigh C.
“I’ve always appreciated the great friendship between my husband and my father. Extended families are a big part of a marriage too! Oh, and he’s brought me coffee in bed every morning for 38 years.” Rebecca M.
“If it’s raining he drops me at the door, and then parks so I don’t get wet. He also always speaks well of me to the kids, even if we’ve disagreed and he thinks I’m wrong – never questions my judgement in front of them. He leaves me notes of encouragement around the house and instigates family dance parties. I also admire that he respects and loves my family deeply – his love for them is a way of showing love for me.” Anna A. “He makes me feel safe. I am always safe to say or be anything and I don’t doubt his love.” Jessica H.
“Nate encourages me to take time to do things I enjoy even though it means he will have to shoulder more work in the family. We have four kids, so encouraging me to go to a womens’ retreat, or grab a cup of coffee with a friend, or even just take a walk equals more parenting duties for him. BUT he does it because he loves me and he shows it by sacrificing for me.” Beth L.
“My husband boosts my self-confidence. He supports my ventures, encourages me to try new things and offers praise and positive feedback. He makes me want to be better at whatever I am doing.” Kristi K.
“I know my husband loves me, but what I love about him is his dedication to our three kids. When our daughter ‘outgrew’ softball, he found a way to learn more about gymnastics and love that. We have three very active kids so it’s impossible to be at all events, but he makes a great effort to be at most of their events and has coached all of them. And they notice. We do make time for ourselves, but he works long hours and sacrifices a lot for our children and me. What more can you ask for?” Britney E.
“I love it when my husband says, ‘everything is going to be ok’ and it always is.” Julie H.
I share these points not as a checklist, but as illustrations. In 84 comments, not one woman even hinted at her husband’s appearance, salary, or status. After years of marriage, those factors are less relevant than how a guy makes his wife feel, how well he leads his family, and what kind of father he is. My parting message is this: Trust your instincts, girls. Listen to your intuition, for it is a gift. There’s a reason why you notice details about a guy he may not realize about himself, like how he brags too much, tells white lies, and can be rude…or how he always holds the door for you, insists on paying when you go out, and helps his little sister with algebra. Little moments that seem insignificant when you’re young offer big clues of who a guy will become, and if you reflect on them, they’ll help you make good choices. A charming, extravagant guy may be fun to date, but for marriage you need substance. You need chemistry and a deep, genuine friendship. Have high expectations, but don’t expect perfection or idolize the fairytale romance. And remember, what makes a guy a keeper – character, kindness, humility, faith, respect, integrity, trustworthiness, responsibility, courage, compassion, tact, honesty, patience, loyalty, a strong work ethic, a strong moral compass – applies equally to you. You marry to your level of health, and the way to attract a great guy is to first be a great girl. It’s easy to fall for charisma in a world that loves a show. It’s easy to dream of love with flashy, attention-seeking displays of romance. But before you get swept away by a guy with Hollywood flair, remember to check the character. Choose guys who can make a genuine soul connection – who treat you well publicly and privately, and who make you a better person because of who they are. 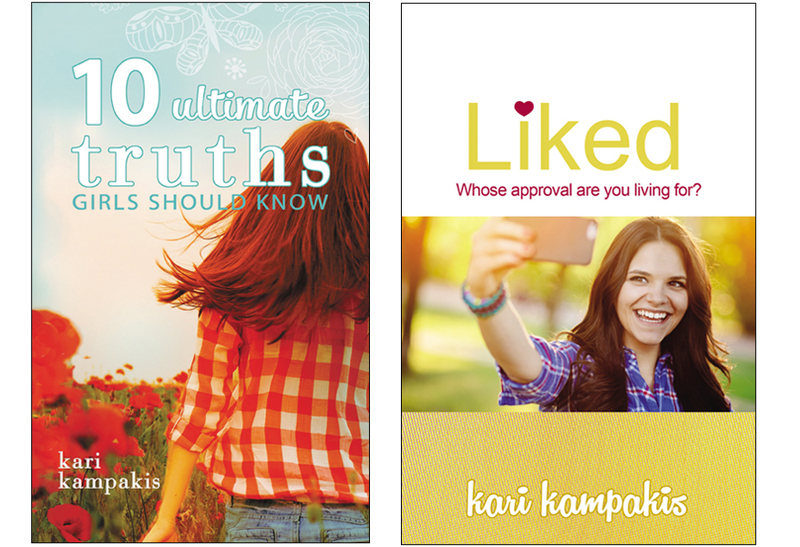 Finally, I have a speaking event this weekend and would love to see you! On Sunday, Jan. 28, I will be in Athens, GA at Athens First UMC. My first talk, “Dear Girls: You Are Stronger Than You Think” is at 4:30 p.m. for moms and daughters (5th grade and up). Space is limited and tickets are $30. My second talk, “How to Love Your Teenager – Navigating the Relationship in the Teen Years” is at 6:30 p.m. for parents of teens and pre-teens. This session is free, but reservations are required. To buy tickets, reserve your spot, and learn more go here. I am so sorry for your experience. I have a few friends who faced similar circumstances, who could not have foreseen their spouse’s turn for the worse because at one point, they seemed solid. There are no guarantees in life and I think the hardest punches are the ones you never see coming. I pray for God’s peace, wisdom, and strength as you navigate a hard road, and for new and unexpected blessings in the chapters ahead. What insight you have, and so timely for me and my Hollywood family (daughter and two grandsons, all rising stars.) The contrast between charisma and character has been my overwhelming observation here “behind the lines,” as well as my daughter’s intense experience.I am from Athens, GA, btw, member of the First Methodist, where they’ll know my (Dad’s) name. To disallusioned: do all things with love. Don’t bail on your marriage… I was married to my best friend for almost 20 years and in an impossible situation. I sought the advice of my priest and he told me to choose to love and not leave… Unfortunately, not long after this advice was given, my husband was killed… I have never regretted the decision to stay and to love no matter how hard the circumstances were.